Bybee Electric is a full-service electrical contracting company servicing residential, commercial and service customers in Wichita, Kansas. 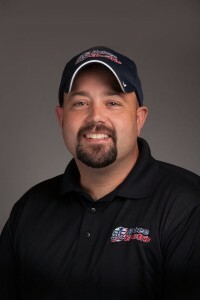 Owner DJ Bybee has been a strong presence in Wichita's construction industry for over 15 years. From design to finish, our experienced estimators, project managers and technicians provide the expertise to ensure your electrical project is completed up to code, on time, and on budget. We understand that service interruptions are an inconvenience and cost you productivity so we focus on providing expedient electrical services to get you back online as soon as possible without risking the safety of your valuable electrical equipment. We are also absolutely committed to safety and provide ongoing education to our personnel. We ensure complete compliance with best practice standards. Over the course of our company's history we have established an impeccable reputation for total professionalism. Every Bybee Electric employee is submitted to background checks, drug testing and are honest and ethical in all their customer interactions. Whether it's a ceiling fan installation in your home, a system upgrade or a design build project for your home, no job is too big or too small.